The word Teraphim is defined in dictionaries as “an image revered by ancient Hebrews and kindred people apparently as a household god”. The dictionaries usage of the word “apparently” proves that they really know next to nothing about Teraphim. However, 900 years ago, people in the 12th century were knowledgeable about Teraphim. Maimonides, a renown philosopher, jurist and healer in the Middle East during the 12th century wrote about Teraphim. There are 2 types and 3 levels of Teraphim Conscious Awarenesses. The 3 levels of Teraphim are 7th dimensional crystalline Teraphim, 8th dimensional molecular level Teraphim and 9th dimensional atomic level Teraphim. 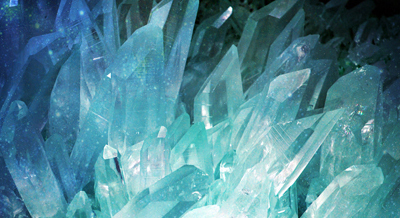 In our Love Energy Techniques Classes, we teach participants how to work with and dance with 7th dimensional level Crystal Teraphim. Participants in our Activator Classes, learn to use Conscious Awareness to activate their 3rd, 4th and 5th dimensional level Merkabas, so they may dance with the Conscious Awarenesses of 7th dimensional level Crystal Teraphim. Our Starfire Healers learn to use their Conscious Awareness to activate 6th and 7th dimensional level Merkabas, and co-heal people with help from the Conscious Awarenesses of 7th dimensional level Crystal Teraphim. Adept Teachers learn how to properly use their Conscious Awareness to activate 8th, 9th and 10th dimensional level Merkabas. In this way, they become prepared to teach people how to use Conscious Awareness to activate 3rd, 4th and 5th dimensional level Merkabas, so their students may dance with the Conscious Awarenesses of 7th dimensional Crystal Teraphim. We also now offer people “Wearable Healing Crystal Soul Lovers “. These unique 7th dimensional Crystal Teraphim were hand selected for their healing attributes and self help abilities. Then, they were Love Energized in two ancient ceremonies to help people around the world. Our Soul Lover Teraphim come in the form of bracelets, mantra beads and pendants. All proceeds benefit those who serve Destitute Children.